After an enthusiastic launch, your company blog has lost momentum and faded away into a digital orphan. Between projects and deadlines, the once coddled company blog may go by the wayside. This usually begins innocently enough. First, a post is skipped one week, and then blogs are posted once a month—And before you know it, the company blog has become a cemetery for long-forgotten articles. What does a blog do for your company? Drive traffic to the site: Each time you write a blog, you’re increasing the chances of popping up in a search engine , therefore increasing your SEO a bit. Helps convert traffic into leads: This can be done with a call to action, which can be any incentive (free trials, a free webinar, etc.) for customers to provide their information in exchange for some digital gems. Establishes authority: Blogs are an excellent way to answer user questions and strengthen relationships between the user and company. Obtains long-term results: What many people don’t know is that 70% of a page’s traffic comes from older blog posts. This is yet another reason why it’s so important to carefully select the optimum keywords to hail the best results. No engagement: The main purpose of social platforms such as blogs is to engage your readers, so if readers are leaving comments that harbor no response, what incentive does that reader have to return to the site? Readers want to know that their comments have been heard, so think of a blog as a social community of shared interests. It doesn’t answer the “so what?” test: A writer’s voice and content essentially makes or breaks a blog, so if a reader finishes reading and asks themselves, “So what?” then the blog has failed in enticing the reader and creating a lasting impact. You don’t love your blog: While I’m not talking about a “till death do us part” type of commitment, you have to be passionate about your blog—and this will be reflected in the quality of your posts. How can you revive your blog? Plan posts: Have a handful of blog posts handy so content can be posted on a regular basis. If you’re stumped for ideas, try putting your own spin on a relevant topic, or go into further detail on another issue previously blogged about. Cover trending topics: This is also known as newsjacking. When current events and topics dominate headlines, it’s the perfect time to take advantage of a particular topic—Hence the #Hashtag. Social media is a beautiful thing. Of course, this opinion is coming from a millennial that spends 8 hours per day plugged into a computer, and another 8 with her phone in her face, leaving just enough time to get some shut eye. But we live in an age of news feeds, ‘selfies’ and twitter lists, and it’s important for those who wish to stay up to date with the fast pace of currents events to adapt. Aside from creeping on your friends, your ex and your favorite celebrities, social media platforms are a great way to promote your brand. By now, most business owners know this, and are utilizing sites like Facebook, Twitter, Pinterest, Instagram and LinkedIn. Businesses that are constantly active on social media platforms benefit by building relationships with current and potential clients and/or customers, gaining the ability to respond to positive or negative comments, promoting their culture and more. Social media can help generate leads, and even close sales, depending on the industry. So, when do social media become a negative thing for a business? 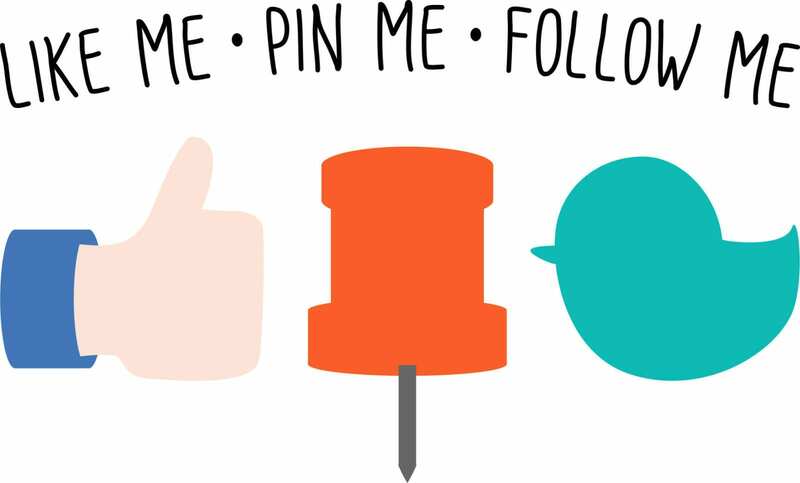 Nix the site if the only ‘likes’ or ‘followers’ you have are friends and family. As nice as it is that everyone you’re close to is supporting your business or brand, it’s probably not the audience or public you’re looking for. This can happen to even the most established brands, especially when their target audience is a generation that typically doesn’t use social media. Ditch the platform if you’re not actively updating it. Keeping those who like or follow your business engaged and involved is key to managing social media. 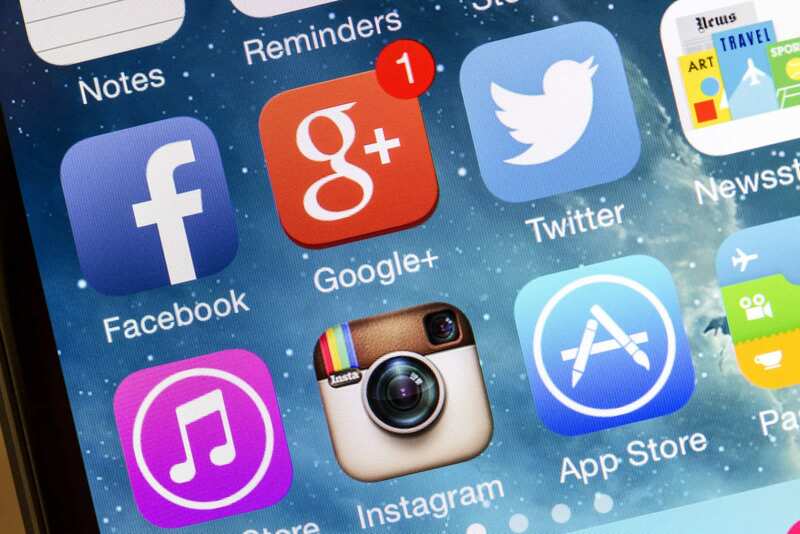 Don’t create a social media site for your business just for the sake of having one. Moral of the story – slapping your logo on a Facebook or Twitter page, and updating your profile information is not enough to keep a business’s social media platform alive because it definitely won’t keep your public engaged. Say ‘bye-bye’ to the social media that aren’t bringing traffic to your website. If it’s not generating traffic, it’s not doing its job. Trying to keep up on a social media platform that isn’t bringing in traffic is a waste of time and resources. Finding out which platforms are generating traffic and which aren’t may take a little ‘behind the scenes’ research, but if Facebook is bringing in 80 percent of your site’s visitors, and Twitter is bringing in 0 percent, you should definitely ditch the latter. Knowing when to leave a particular platform in the dust is a great way to save time and resources, and allows most businesses to focus their energy on the social media that actually work for them. If you’ve ever Googled how to make a resume, or even used an online resume builder, you’re not alone—but you could be making some crucial errors. As technology and other factors alter the way companies browse and hire candidates, so do the characteristics companies look for during the early works of the hiring process. Even if you think that you have a pretty stellar resume, there is always room for improvement, and you could be making some of these outdated formatting errors without even realizing it. Objective: To put it simply, adding a career objective is dated. Where you live: Oddly enough, this could be used against you if you’re not local—even if your intentions are to relocate for work. Plus, this seemingly innocent question is actually illegal for an employer to ask; however, anything you put on your resume is fair game. Headshot: Even if you’re proud of your striking good looks, headshots on a resume should be reserved for those in the entertainment industry. The reason for this is discrimination, both good and bad. 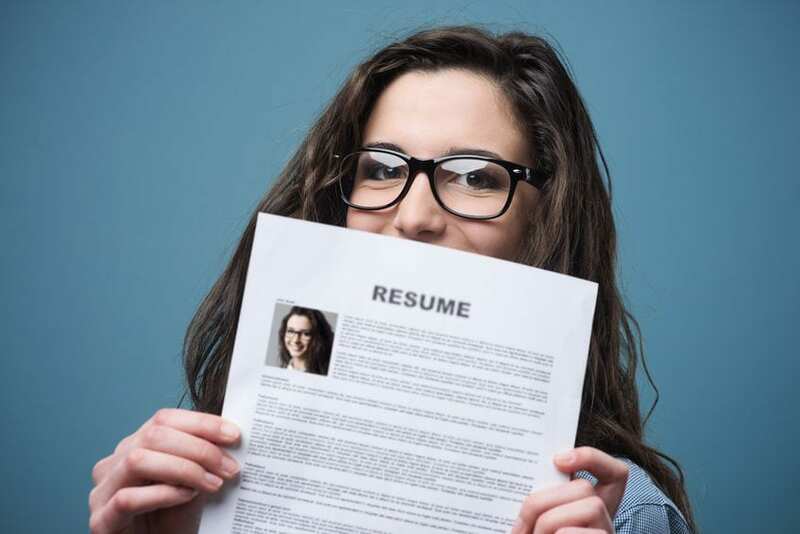 In one case, your resume could be thrown by the wayside because your physical appearance can elude to other things about you. This could be anything from religion to social class, but either way, you don’t want your appearance to defer from your experience and work ethic. On the other hand, if you post a headshot looking like a model, someone could hire you for the sole purpose of your looks… and that could be the start of a workplace disaster. Personal details: There is no reason why a potential employer should ask for personal information such as marital status, religion, or nationality. And while questions like, “Are you married?” or, “Do you have kids?” may be good conversation starters in a personal setting, these are details that should be left off a resume and therefore not asked in a job interview. Social media accounts: Unless you reference a professional network such as LinkedIn, avoid linking to personal accounts if possible. Adding a Facebook or Twitter account gives a potential employer the chance to snoop through your past and personal life, and if they find something that may be a conflict of interest, it could mean not landing the job. Fancy fonts and colors: These two things not only divert from your focus and work experience, but it doesn’t convey a very professional message. While creativity is a wonderful thing, a resume should be creative in its wording and formatting—Not with eye catching cursive and “look at me” red ink. Cliches: Right out of college, I was guilty of using every cliche in the book for my resume. From experience, avoid descriptive phrases such as “hard worker,” “team player,” or any other phrase along those lines. The goal of a resume is to stand out, and how can you do that using textbook phrases to describe yourself? If you are guilty of any of these resume errors, it’s not too late to tweak your resume to keep up with changing times. Google Consumer Surveys and Facebook Polls are a great way to conduct spur-of-the-moment market research. Both of these programs allow you to create and distribute surveys and collect and analyze data at a reasonable price. 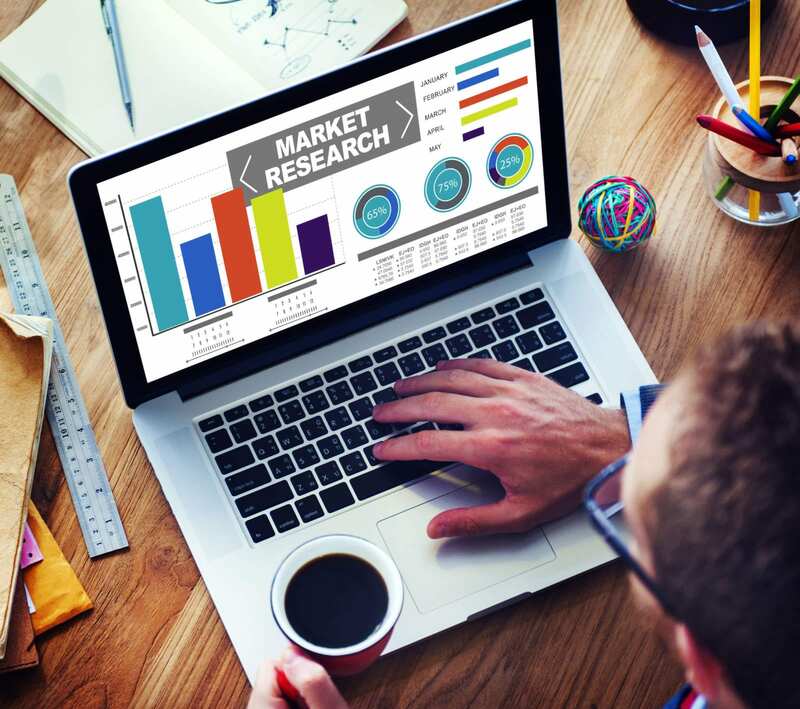 While these platforms are not the same, they both offer great features that can allow your company or small business to complete market research on the fly. Released in March of 2012, Google Consumer Surveys has become a go-to web-based platform to use for market research, surveys, and impromptu focus groups. 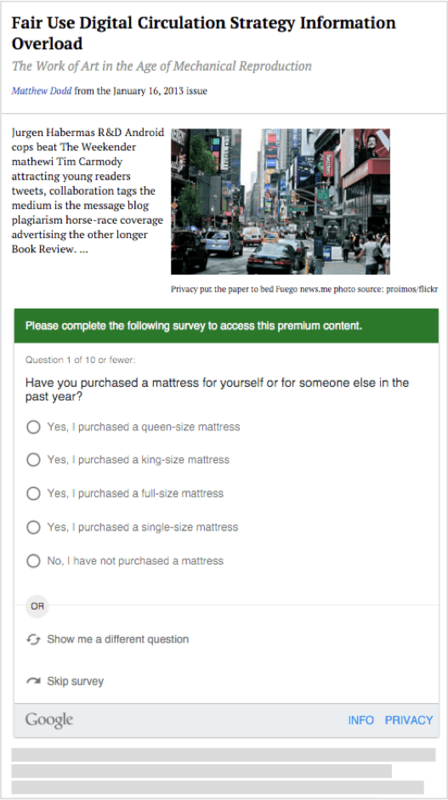 The surveys are used as ‘soft paywalls’ for users to access premium content from publishers online. By filling out a survey, users can access otherwise locked content for free. This tool allows businesses to reach everyday Internet users, as opposed to users that choose to participate in research surveys. Google provides a three-step survey creation process that allows you to easily use a variety of question options and targeting types to get the answers for your business decisions. 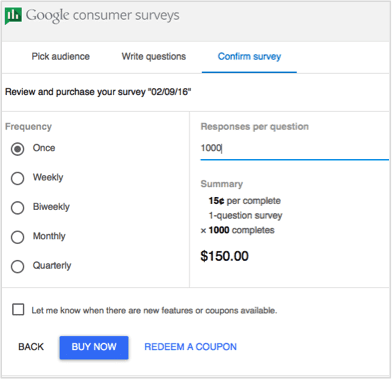 A marketer creates their survey using Google’s three-step creator. Each survey can have up to 10 questions, and there are a variety of different survey question types including single answers, multiple answers, open-ended questions, and rating scales. Marketers can also use images for answer choices. Depending on where your survey is showing, videos can also be used. Google Consumer Surveys can be used for most, if not all of your marketing research needs. This includes concept & product development, market trends, brand tracking, and marketing design. You can also create a survey to measure marketing campaign penetration, gauge reaction to current events, or evaluate customer satisfaction. For agencies or research groups, Google also has custom survey portals offering the opportunity to brand your surveys and use back-end tools to completely own your research process. For this custom portal option, you will need to contact the Google Sales team. Once Google approves your survey, it will be available across a network of premium publishers including online news, reference, and entertainment sites. This also includes mobile apps, where it will be directly embedded into the content. Users answer questions in exchange for access to the content. This is an alternative to subscribing to content. On the Google Opinion Rewards mobile app (only available on Android), users answer surveys in exchange for Google Play store credits. When a user answers questions online, Google will infer demographic data (gender, age, and location) based on their browsing history and IP address. On the mobile app, users answer demographic answers up front, so there’s no need to ask them. Almost immediately after the Google team reviews and approves your survey, results will be available. Google provides an interactive interface for analyzing your results including graphs, demographic segmentation, and insights. 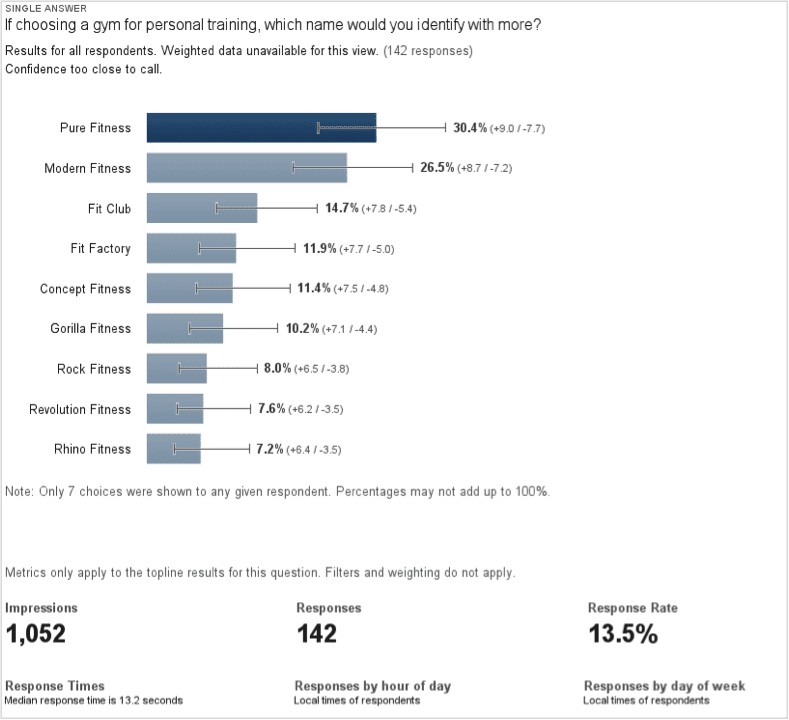 When evaluating survey results, the overall view shows all the questions asked, the number of responses, the answer that was chosen most, and any available insights. You can also dissect each question’s results individually. When examining each question, you can view many more details like whether the winning result was statistically significant, or if the data is weighted or not. You can also segment the data using the inferred demographic information. This allows you to compare and filter data and results by gender, age, geographic location, urban density, income and parental status. Google Consumer Surveys are priced on a per-completed-response basis. After survey creation completion, you prepay for your responses. For a 1-question survey with no targeting or screening questions, you would pay 10 cents per completed response. Below is a table, from Google, that shows the pricing structure, however, you can also view Google’s complete overview of Consumer Survey pricing. The Facebook Polls app is another marketing tool that can be used to conduct market research. While these polls are not used as soft paywalls for premium content, they can be embedded onto a website. Facebook Polls engage your fans, encourage more likes on your page, and expand your reach through the ability to share your polls. These polls can be shared directly with a URL on sites like LinkedIn, for example, or by inviting those that you wish to participate. Facebook allows you to create fully customizable forms the way you want, including the use of images and videos. You can simply paste a YouTube video URL anywhere within your poll to embed a video. 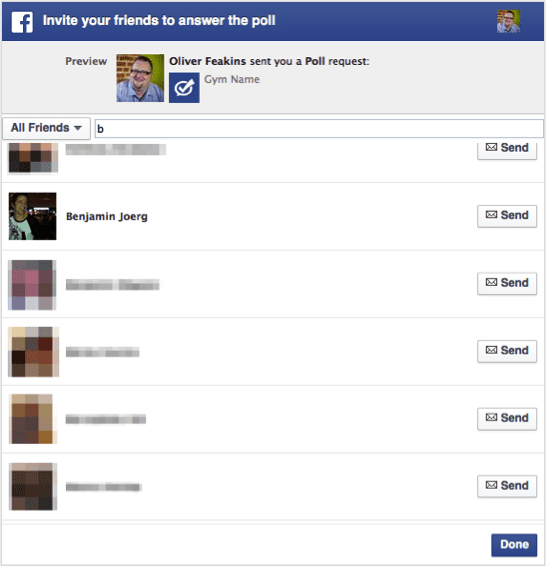 Facebook also provides options of how you would like your poll displayed. You can stack all questions on a single page, or choose a fluid layout, which will put questions side by side if possible. You can also create polls that post one question per page instead of displaying all the questions on one page. When you finish creating your poll, not only can you add it to a tab on your page and embed it on a website, but you can actually invite your Facebook friends to answer your polls. Being on the Facebook network allows you to get results from a very specific target audience – your fans and friends. This is especially beneficial for brands that want to know what their customers or prospective customers think of them. Much like Google Consumer Surveys, Facebook offers results analysis through the use of charts and dashboards that can be exported to Excel. 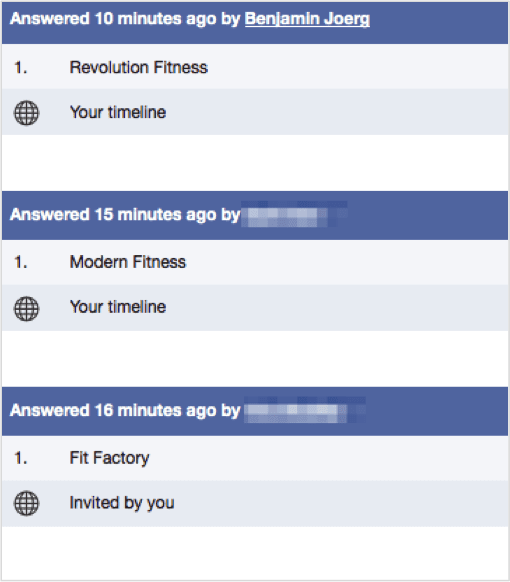 A feature exclusive to Facebook is the ability to see what you friends answered. From the statistics page, you can also view the origin or your poll participants. You can tell if users accessed your poll from a shared or direct URL, your timeline, a friend’s timeline, your web page, and even if one of your participants participated after being invited by one of their friends. Facebook also includes the ability to make your own custom tracking parameter. Facebook offers Premium Polls on a yearly subscription basis. There are three levels of features available that range from the number of admin users allowed on an account to a custom poll URL and branding. The lowest of the premium plans starts at one annual payment of $96. Facebook does not offer a free trial for these plans, nor do they offer monthly subscriptions, but they do offer a 7-day money back guarantee. Facebook does offer a free poll plan, however, it is severely limited offering a maximum of 40 answers, and you cannot add images. 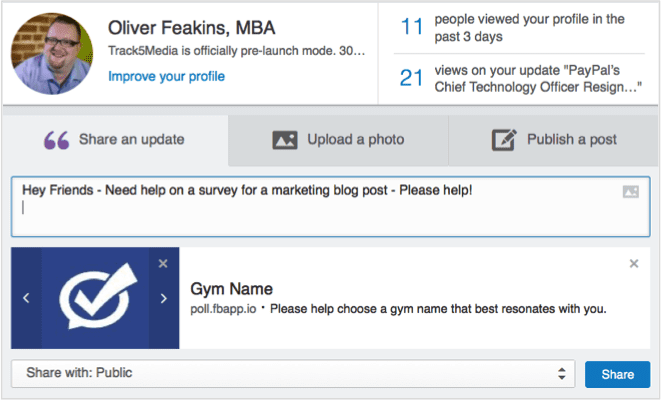 You cannot embed the poll on a website or on a Facebook page tab.